Yet another take of the Sh2-131 emission nebula in Cepheus with the embedded star cluster IC1396 and home to the famous Elephant’s Trunk Nebula VDB142. 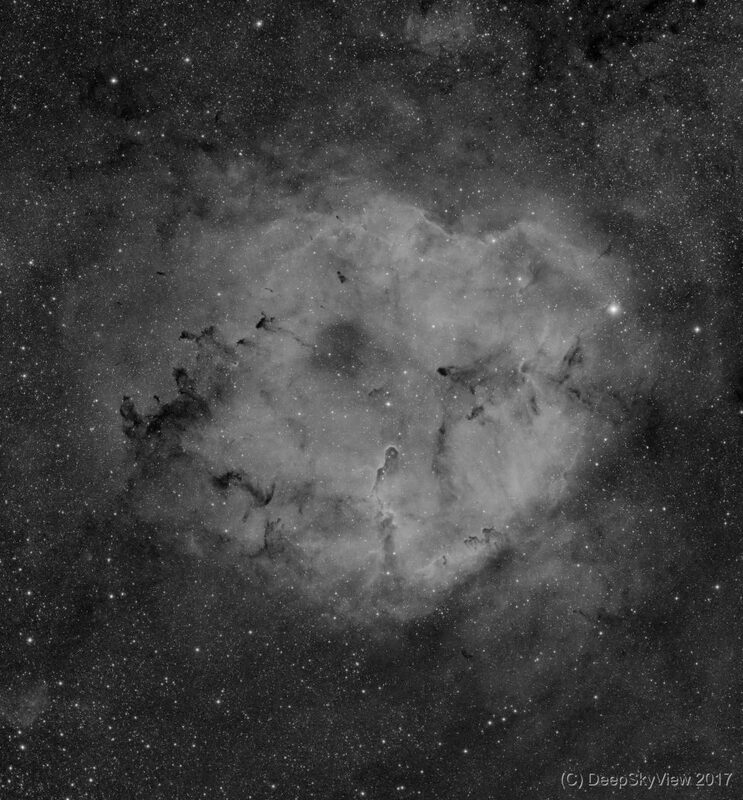 It is a large emissions nebula with stunning inlays of dust clouds absorbing most of the lights. The total size of the complex corresponds to about 10 times the full moon. This is a straight Ha monochrome image constructed from 54 exposures with 300 sec each, a total of 4.5 hours of exposure. Using my wide-field rig with the Samyang 135mm f/2 (at f/2.8) with the ATIK 460EXm. Compare to last year’s version.